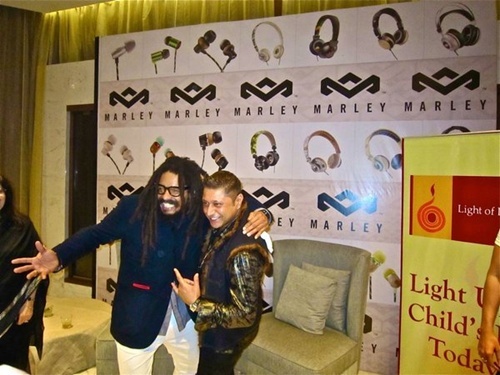 Legendary Rastafarian Bob Marley’s son, Rohan Marley, was in Mumbai along with The Light of Life Trust hosted a charity gala and auctioned a range of earth-friendly, innovative audio electronics and lifestyle products by House Of Marley. Where British born pop icon and legend singer Taz of Stereo Nation who recently honored with wall of fame in Coventry were seen bonding with Rohan Marley event. Taz is currently in the town and he is searching a new voice for his upcoming Bollywood movie “The City That Never Sleeps” which is produced by Satish Reddy and Directed by Haroon Rashid.